If you desire more contact with God in your life (like I do), then it's good to pick up tools from those who have become masters at this in the Christian tradition. 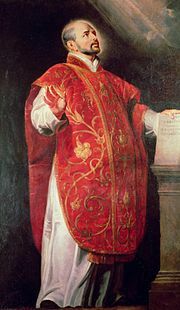 One such master is Ignatius of Loyola, 16th-century Catholic and founder of the Jesuit Order. Ignatius was a Spanish knight, and he was badly injured in battle when a cannonball shattered his leg. He spent nearly a year in a hospital, and during that time he started exploring what it would mean to serve Christ with the kind of loyalty required of an earthly knight. In his journey, Ignatius noticed that there were some things that drew him closer to God and some things that pulled him farther away from God. He came to call the former "consolation" and the latter "desolation." In my forthcoming book, Luminous, I talk about "practicing the presence of God" and "practicing the absence of God." It overlaps with Ignatius' "consolation" and "desolation." It's Monday, and it's time to learn from the monastics. Today's lesson is about what we wear. Is what you wear in line with who you are trying to be? 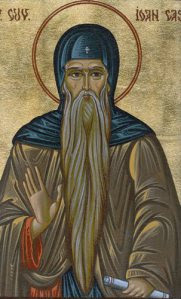 John Cassian (c. 360-436) was a Christian monk who wrote influential books about the monastic life. His book Institutes is a description of monasticism. He starts Institutes not with a discussion of prayer or fasting or reading Scripture but with clothing. Why clothing? Because Cassian wants you to be able to visualize the monk on the outside before talking about the monk on the inside -- his attitudes and heart. Cassian describes the underwear, robe, hood, tunic, cords, cape, and goatskin covering worn by most monastics of his day. Without going into all the detail of their dress, here are the principles of monastic dress. 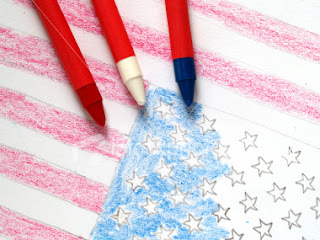 Are you one of those who colors inside the lines or outside? It can make a huge difference in your relationship with God. The thing is, I won because I colored inside the lines. My shading was consistent, and my page was virtually mistake-free. As a person making adult decisions, I default to the spaces inside the lines, but I get restless there. 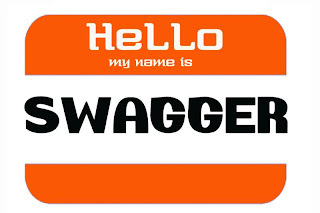 O Christian, where is thy swagger? I continue to be astounded by the life lessons inspired by the show The Voice and music in general. Here's one of the bigger ones. Musical truth: There's a difference between a vocalist who can hit all the notes and a singer who commands your attention. Let's call that difference mojo (or passion, or confidence, or swagger, or just plain sass). I have been studying The Voice for three years now, and I've been listening to musical artists from blues to rock to alternative to psychobilly and beyond, tuning in to what marks special artists. There are various factors, but one thing is never missing: mojo and swagger. They know they are talented, and they want to display their talent. Spend three and a half minutes with any Rolling Stones song, and you will get a face full of mojo, swagger, and sass.